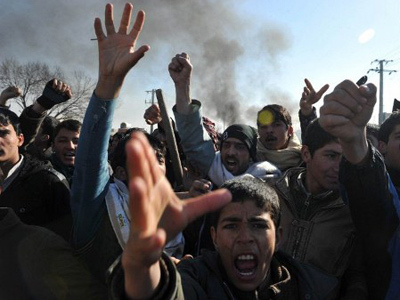 The Taliban is urging Afghans to attack Western military bases in revenge for the recent burning of copies of the Koran. President Barack Obama has officially apologized for the incident as more people die in anti-American violence. ­In a statement published on Thursday the Taliban called on Afghans to "target the military bases of invader forces, their military convoys and their invader bases." They also urged the Afghan people to teach the invaders "a lesson to never dare desecrate the Holy Koran again." 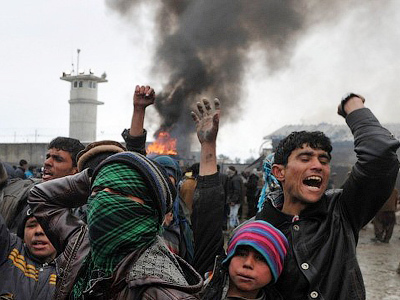 This comes as anti-American protests continue throughout Afghanistan after copies of the Koran and other sacred texts were burnt at a US military base. On Thursday eight more people were killed in the violence including two NATO troops, who were shot dead by a man in Afghan uniform. On Wednesday the US embassy in Kabul was closed due to safety concerns. At least 12 people have been killed since the protests broke out three days ago. 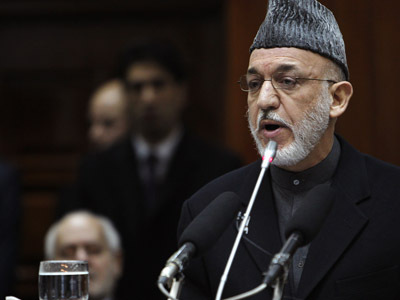 Meanwhile, President Obama has sent an official letter of apology to Karzai on Thursday. "I convey my deepest sympathies and ask you and the people to accept my deepest apologies,” the letter read. NATO officials made their apologies immediately after the incident, but it did not prevent riots breaking out the country. 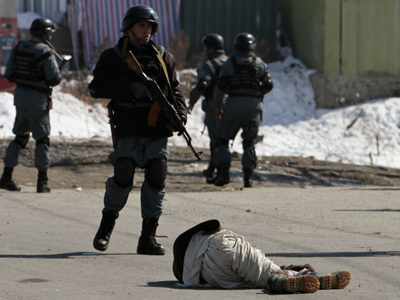 The incident took place on Monday at the Bagram military base. 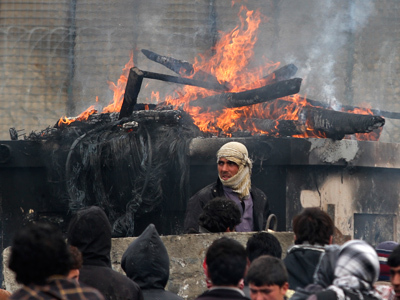 The Koran and other sacred texts were seized from arrested Afghans and burnt as extremist literature.